You are under no obligation to give a representative from a nursing home them any information about the condition of a loved one after an injury or sudden death at their facility. The administrator and medical staff at the facility might be seeking information to build a case that your loved one's injuries are not the fault of negligent nursing care. However, it is important to understand exactly what they are asking to ensure your father receives the best care possible. Rosenfeld Injury Lawyers LLC represents victims of nursing home abuse, neglect, and mistreatment, along with other types of professional negligence. Our law firm has successfully prosecuted cases for our clients who were injured by the negligent actions of others. Our attorneys are available to answer any legal questions on how to receive the monetary compensation you deserve if your loved one was abused or died as a result of someone else's negligence. Should you have additional questions, we invite you to contact our office for a free review of your legal rights. After an incident involving a patient injury, nursing homes will regularly contact families and ask questions. The nursing staff might want to know about a loved one's medical condition under the guise of trying to get some information about their physical condition. In some situations, the facility may attempt to shift the blame of your loved one's injuries onto the patient to absolve themselves of legal liability. The administrator may be anticipating that you will file some form of litigation. Because of that, it is in your best interest to refrain from providing any information that could ruin your case for obtaining financial compensation. Unfortunately, episodes of poor care and patient injury have become so common at some nursing homes that staff may have already met with attorneys who defend the facility in lawsuits brought against them; this is a tactic suggested to help defend the facility. When your parent was admitted to the nursing facility, the medical team and nursing staff received their complete medical records as a part of the admittance process. If any of the documents are missing, the Medical Director can request a copy of the missing paperwork from the hospital, medical center, former nursing home, or any other medical professional who has the record. Likely, your parent is in the nursing facility because they are aging, ill, or require rehabilitation therapy, meaning their health needs are changing every day. It is the responsibility of the medical director, nursing staff, and the resident's doctor to formulate an effective Care Plan that the entire nursing and medical team must follow to ensure the patient's safety. Your parent's Care Plan will be based on their immediate needs and not what they required in the past. However, the facility might be asking for your assistance to participate in developing a Care Plan. Federal and State law mandates that the nursing facility complete a comprehensive assessment of your parent's condition within two weeks after their admittance to the home. Also, there must be updates to the care plan at least once every year, or after there is a substantial change in their condition. The Care Plan must also include limited assessments performed every three months and documented in the MDS (Minimal Data Set). Every Comprehensive Care Plan will have assessments prepared by the medical team that often includes the medical director, Registered Nurse (RN), nursing home staff members, and the resident's doctor. Most importantly, the resident and their legal representative or family members must also participate in developing an effective plan to ensure the resident's safety, health, and well-being. This Care Plan is routinely reviewed and updated as necessary. Any discussion about your father's Care Plan should include you, his legal representative or other immediate family members concerned about his health. If the facility failed to provide notice when the meeting is being conducted or does not offer an imitation, it is imperative to ask to be included. You should offer creative solutions on how to ensure your father's safety and what the staff can do to make his life more comfortable while a resident there. Do not be intimidated when attending the meetings and instead inform the team who you are and what can be done to assist your father while he is there. Typically, the team will not discuss complicated medical problems but instead build the most optimal plan of care possible. Your father's health problems cannot be resolved using a one-size-fits-all plan of care, and any effort for the nursing staff and medical team to do so is wrong. At the Care Plan meeting or in discussions with the nursing staff providing your father care, you may believe that the team is disregarding your father's preferences. They may make claims that there is not sufficient staff to accommodate your father's schedule of one to arise every morning, receive showers throughout the week, or offer alternative meal options. As your father's child or legal representative, you have the right to ensure the nursing facility is accommodating your parent and not just following standard operating procedures. That is not to say that you should make unreasonable requests. Successful nursing facilities recognize the benefits of giving every resident and family member more control. Hopefully, when searching for the perfect location for your father, you considered only “resident-centered” facilities based on customer satisfaction and high-quality resident care. It is your duty as your father's child or legal representative to inform the nursing facility they have a legal responsibility to ensure your father is receiving all necessary care. The facility's excuses are not valid if the administration is saying that a lack of funds and necessary nursing staff are the reasons for their problem. To ensure your father is receiving the best care, review his care plan assessments and doctor's orders and file a complaint with State inspection agencies and long-term care ombudsman. If these agencies and programs failed to provide immediate changes, consult with a lawyer to discuss your legal options on how to ensure your father's needs are being met. The nursing staff, Director of Nursing, and Medical Director might be making claims that they must restrain your father in bed, in his chair, or wheelchair to protect them from falling or wandering away. The nursing home may be making claims that they have no way to ensure his safety and do not have adequate staff to watch them continually. The truth is they can only use physical restraints under a doctor's orders based on a specific health problem or condition and not used as a form of discipline or convenience of the nursing staff. The facility must follow federal and state law on the use of physical restraints and chemicals (medications) to restrain the resident in any way. Look at the Nursing Home Reform Act of 1987 under the Code of Federal Regulations – Title 42 (Section 43.13 (a) for information to support your claim that your father cannot be restrained. The doctor or nursing team at the facility may be discontinuing your father's therapeutic service because they are stating he is not making any progress. However, the nursing home is required by law to offer every appropriate therapy available even if your father does not make any measurable progress. Stating that your father has “plateaued” is not a valid reason to terminate, discontinue, slow, or temporarily stop your father's therapy. Federal law (Title 42 – 483.25(a)) and its introduction section states that every resident of a nursing facility must be provided all medically necessary care. This means that the therapy must be provided even if it might not improve your father's condition, maintain his current condition, or slow the decline of his condition. Why are They Giving my Father Behavior-Modifying Drugs? Is the nursing staff telling you that your father is unmanageable and needs medication to adjust his behavior? If so, federal law says that drugs can only be used to modify a resident's behavior when their actions are caused by a diagnosed medical condition that can be treated with the specific drug. The Nursing Home Reform Act (Title 42 – Section 43.483(a) clearly states that “psychoactive” drugs can be administered only as an effective treatment for the resident's symptoms, illness, or medical condition. While the medication might be recommended by the medical director, physician's assistant, or the resident's doctor, the drug can only be administered with the consent of the resident or their legal representative. Every resident has the right to reject or accept every recommendation for care and medication. Are Feeding Tubes Really Necessary to Ensure my Father Receives Nutrition? According to the Nursing Home Reform Act, using a feeding tube should only be recommended as a last resort and not to accommodate the nursing staff if your father is taking too long to eat. The medical team at the facility should be conducting a comprehensive assessment to determine how your father eats and if the use of assisted devices might help with this coordination or grasp. Your father's eating challenges might be the result of an unpleasant or chaotic environment that is particularly significant where others with dementia gather to eat. Numerous studies have compared the benefits of careful hand feeding to tube feeding and found out that the use of a nasogastric tube does not increase the residents' survival rate. Federal laws states that the nursing home is your father's residence and any of his friends and family members can visit him any time he wishes them to during the day or night. Federal guidelines recommend that all family members and friends visit the resident outside their room during the late-night hours so as not to disturb the other residents from their normal sleep. If the nursing staff still refuses you to visit, provide them with a copy of the federal law (Title 42 – Section 43.10(j) (1). In fact, visiting your father after hours (the posted visiting hours) is likely a good idea because it gives you the opportunity to see what the nursing staff is doing when others are not around. Visiting your father between midnight and 6:00 AM will allow you to see how he is doing if he commonly has problems sleeping during traditional overnight hours. Anytime a patient is unexpectedly injured at a nursing home should be cause for concern. Regardless of an explanation provided by staff, you should trust your intuition when it comes to your loved one's health and wellbeing. Getting hurt or developing medical complications, as a patient in a nursing home should not happen. 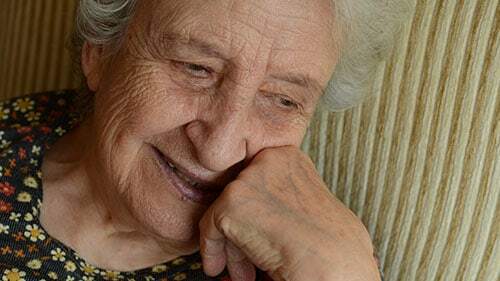 The elderly abuse injury attorneys at Rosenfeld Injury Lawyers LLC have experience prosecuting Illinois nursing home negligence cases involving patient injury and death. Our legal team encourages you to contact our attorneys today to schedule a free, no-obligation case consultation to discuss the merits of your monetary recovery claim. We accept all personal injury cases, wrongful death lawsuits, and nursing home mistreatment injury claims through contingency fee arrangements. This legal contract postpones the payment of legal services until after we have successfully completed your case through a negotiated settlement or a jury verdict.